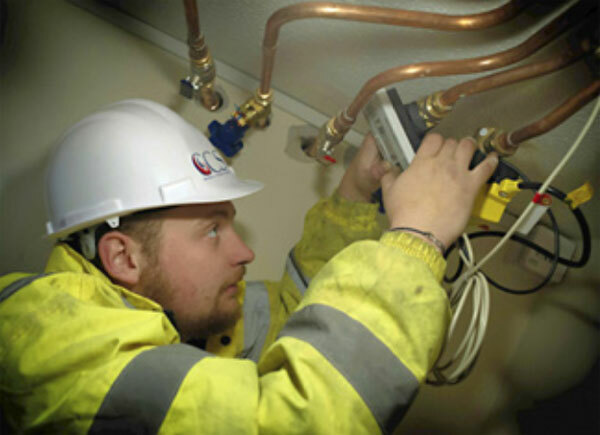 A mechanical services refurbishment involving the design and installation of a new zone controlled heating system and renewal of hot and cold water services in a multi-storey sheltered housing complex where asbestos had to be removed. This project was completed two weeks ahead of schedule, on budget with added value. Dalcross House is a three-storey sheltered housing scheme operated by social housing provider Stonewater. The building houses 34 one-bedroom self-contained apartments for over 55s. Residents share communal facilities which include a lounge, kitchen, laundry room, lift, and outdoor patio and gardens. CCS was awarded the contract to remove and replace the building’s outdated and inefficient 1970s hot water heating system. The mechanical services refurbishment and renewal works included the removal of historic asbestos and installing new radiators, boilers, zone control heating systems in the building’s apartments and communal areas, and the delivery of new pumps, hot water cylinders and pipework. The works also involved full system test and commissioning and certification of plant room equipment. We acted as main contractor for the scheme, working closely with Stonewater, specialist sub-contractors and suppliers. Frustrated residents: the existing hot/cold water system was prone to leaks that couldn’t be fixed without having to shut-down the entire building’s water supply. Residents were sceptical that CCS could solve the problem. Hazardous materials: asbestos removal from the building required apartments and communal areas to be sealed-off to allow sub-contractors to carry out the work. 24-hour turnaround: the changeover from the old to the new hot water systems had to be seamlessly done within 24 hours with minimum disruption to residents. People management: tradespeople, suppliers and subcontractors on site had to be effectively managed, including those not involved with the project. Health and safety: had to be tightly controlled by CCS to ensure the wellbeing of residents, subcontractors and tradespeople during the project working under our procedures. Live environment: working in an occupied building, with hazardous materials and a tight project turnaround required careful planning and programming of the works to minimise their impact on the residents as well as ensure the highest health and safety standards for all building users. Space constraints: limited space and parking constraints made it difficult to install skips and created logistical problems for deliveries requiring a banksman to manage operations. Fire doors: a number of these had glass panels above the doors which had to be removed to run the pipework and required a temporary fire safety solution during the works. Key to the smooth delivery and success of this mechanical services refurbishment was getting the residents behind the project. This included making sure they were well-prepared for the refurbishment works and kept informed throughout the project. Prestart: prior to project start, we met with Stonewater to review the works, identify opportunities where we could add value, and introduce our site manager. Consultation and communication: before the works began, we carried out an extensive resident engagement programme in partnership with Stonewater’s resident liaison officer. This involved writing to and meeting with residents on an individual and group basis to explain the works programme, its duration, and our commitment to minimising risk and disruption to their day-to-day lives. We kept residents informed of weekly works during the project through notices on each floor, letterbox leaflet drops, and bulletins. Residents were also provided with a dedicated telephone support line. Planning: works were sensitively planned and programmed to minimise their impact and disruption to residents and the daily operations of Dalcross House. This included working around the asbestos removal and scheduling works to accommodate the needs of residents with health and mobility issues who were unable to leave the premises. Comfort and wellbeing: during the works, residents were kept warm and comfortable with temporary heating systems to meet a range of special needs. Rigorous health & safety management: working on a very tight site with other contractors and tradespeople accessing the site, hazardous asbestos removal, and a number of operational risks including hot works, lorry deliveries and four-storey scaffolding, required regular assessment of project risks and implementation of safety and full site protection systems. This was supported by site safety inductions, weekly toolbox talks for all project workers, and the commissioning of three independent health and safety audits of our own team and our subcontractor/supply chain to ensure compliance with health and safety best practice. There were no reported incidents or accidents. Hygiene and cleanliness: special attention was given to ensuring that work and residents’ communal areas, including WCs used by the project team, were kept clean, tidy, safe and stocked with supplies. Correx plastic flooring, dust sheets and wall coverings were used to protect floors, walls and surfaces from dust and debris. Cost-effective heating solution: we installed a more energy-efficient ‘zone control’ water heating system which enables communal and apartment zones in Dalcross House to be individually heated and temperature controlled, with an overall control in the plant room. Isolation valves have also been fitted so that pipe maintenance and repairs can be locally isolated without shutting down the entire building’s water supply. £10,000–£12,000 estimated client savings achieved with a system switchover solution that removed the need for a temporary boiler plant. 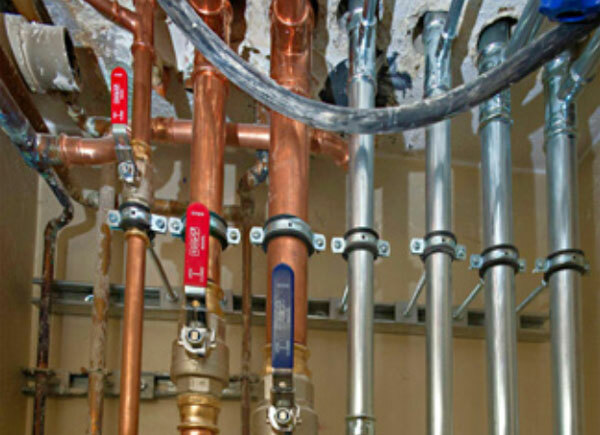 Value engineered a £5,500 savings on pipework costs. Proceeds from selling scrap metal from the old system were invested in a new TV and bingo machine for Dalcross House residents’ lounge. Installation of a 20-year guaranteed carbon steel hydraulic press pipework which minimises hot works in communal areas. Created local employment for local tradesmen and labourers. Materials, waste management and plant hire were sourced from local suppliers. Added more lagging in corridors to improve thermal efficiency. Managed other client contractors in the building during the works. Adapted the pipework layout to meet the architect’s design for an upcoming refurbishment of Dalcross House. Redesigned pipework locations to make the finish more aesthetically pleasing. 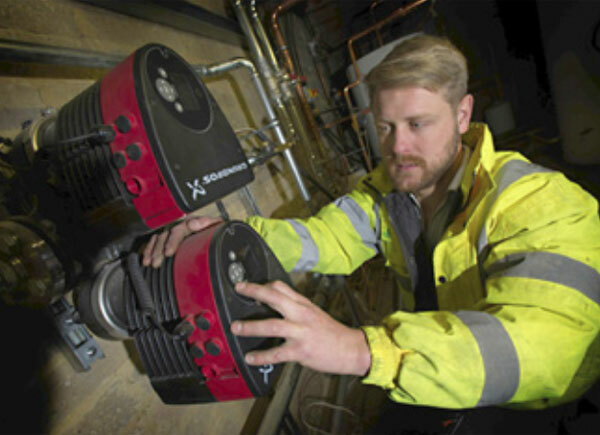 Achieved an estimated overall 10%–15% efficiency savings on resident’s heating bills with the introduction of zone controlled heating throughout the building and new energy-saving high performance boiler and plant equipment.